Those carefully following The O.R. Upgrade Project, may have seen yesterday’s report on the project showed a significant injection of money. Some 292,000 UAH – the price of four pieces of medical equipment that The People’s Project intends to purchase for doctors at the Third City Emergency Hospital of Cherkasy. This amount was transferred to us by our old friends and partners, the charitable foundation “Help Easy!”. This is not a great surprise – the necessary legal formalities for the transfer of funds has been in process for some time. Representatives of “Help Easy!” were attracted to the project O.R. Upgrade since they first became aware of it – it addresses an urgent problem – the miserable working conditions of doctors excited the benefactors. And finally the decision was made to grant funds to the project. 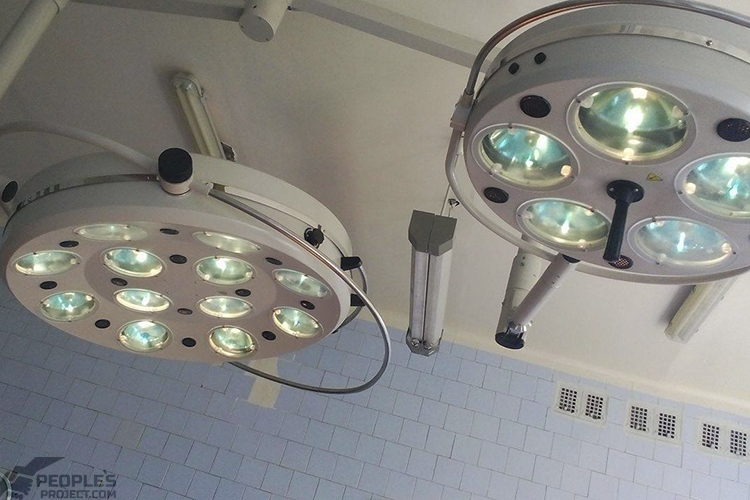 In the nearest time we still buy four pieces of equipment – two modern operating tables and two new surgical lamps. Recall: we relatively recently launched the new project called O.R. Upgrade, which aims to raise funds for the refurbishment of three surgical operating units at the Emergency Hospital of Cherkasy. In there the existing lamps in the operating units were set up 40 years ago and do not provide the required amount of light, constantly break down and instead help create unnecessary difficulties for the operational teams. Equally, the tables where they operate on patients are also of a ripe old age: they are outdated and have been out of order for a long time. State funds for the hospital are already stipulated and only enough to cover basic operational costs, money on pressing current needs for equipment upgrades we are not even talking about. That is why we decided to help: in a year through these operating units passes more than a 1000 patients, and obsolete equipment is an additional factor for undue risk to life and health. Note another important point. This is not the first time the charitable foundation “Help Easy!” has supported our various projects. In particular, just recently the foundation provided funds for the treatment of a soldier in The Bioengineering Rehabilitation for Wounded Project. 28-year-old soldier Mykyta was seriously injured in the battle for Debaltseve, long-term treatment in public hospitals did not lead to his full recovery. Now the experts of the “Biotech” project must overcome the consequences of previous unsuccessful treatment. Most of the funds for the treatment of Nikita, which is almost 200,000, was provided to the project, and the remaining amount “Help Easy!” will fund the next stage of treatment. 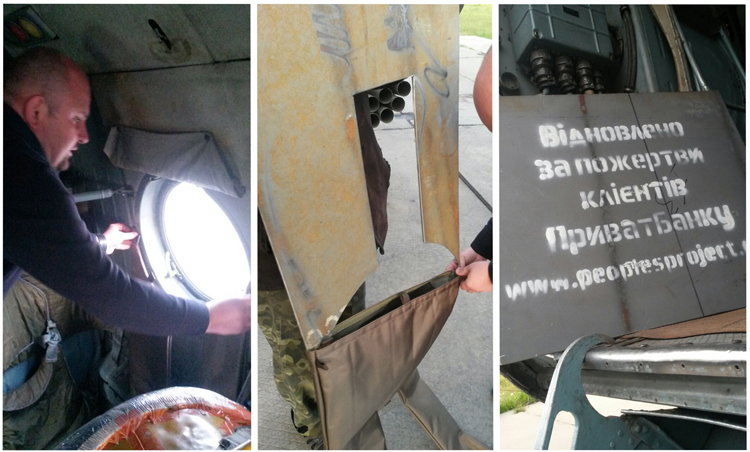 Two years ago, we opened a separate project – People’s Armor, in which we purchased army equipment. The project we installed additional security on land transport. With the help of the charity fund “Help Easy!”, Which transferred to the project a significant amount of money, we could armor 12 transport helicopters, to protect crews, and our military from enemy bullets. 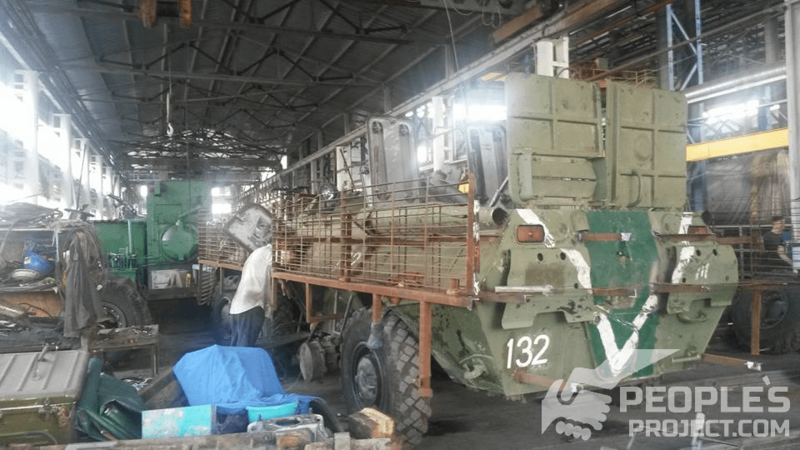 But the helicopter was not all: to The Spare Parts and Supplies Project, “Help Easy!” transferred funds to repair and restore up 14 armored personnel carriers. In the restored machines installed additional armor screens. Who can count how many hundreds of lives these war machines have saved? On this occasion we want to express our gratitude to our friends at “Help Easy!” And personally Foundation Director Anna Pavlova not formal, but really sincere gratitude. 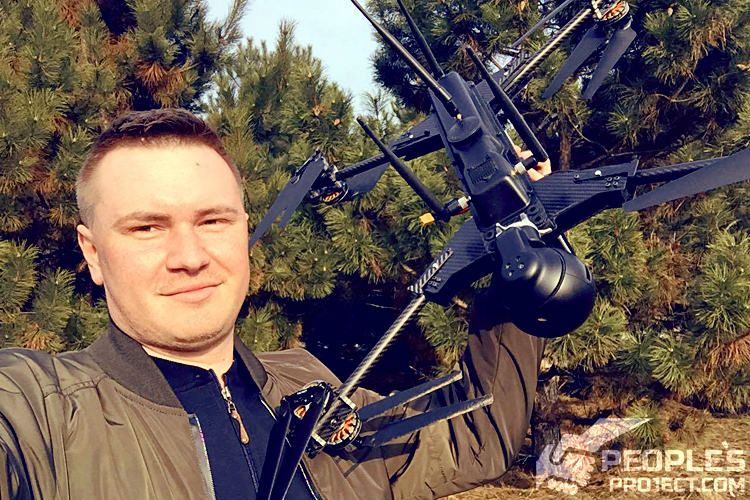 Thanks to their participation for some of the toughest volunteer projects, implementation has been made a little easier, they help strengthen Ukraine’s army in times of greatest need, that their efforts are slowly changing lives in the country for the better. Friends, we are grateful!